In this highly competitive business world, only businesses and enterprises with a focus on customer experience can thrive in the long run. With the traditional practices to improve customer experience are getting obsolete, organizations are seeking newer approaches to enhance their customers’ experience. In this context, many companies are adopting newer methods to improve customer experience Through the use of AI & Blockchain solutions, we could identify the right opportunity to better serve a customer. Imagine walking into a store and you are greeted by a kiosk calling you by your name. Now that is an experience that would leave any customer wanting for more. Artificial Intelligence (AI) has evolved to an extent where it is able to identify a customer’s shopping patterns, preferences, and instantly offer them an unforgettable experience through personalization. Most retail stores fall behind when it comes to offering customers personalized suggestions regarding product purchases. If there was a prevalent system that enabled analysis of a customer’s emotions. When they are in the store, it would open up great possibilities for retailers to offer highly personalized and trending product recommendations to customers. Enabling in-store data analytics, AI-based systems can analyze the interest levels of customers for products displayed across various sections in the store. The simple logic behind customer actions is that, they spend more time near a product they are interested in. Studies show that this logic is mostly applicable in cases of high-value businesses such as auto dealerships and home appliances. As an additional benefit, customer data can aid manufacturers in the increased production of products that most impress customers, thereby mitigating the loss from the stocking of non-moving products. Looking for solutions to optimise your business ? Recently, Accubits Technologies developed EMOTIX, an AI system that can calculate the time spent by a customer near specific products, and cross verifies this data with their purchase history as well as preferential data obtained from social media. EMOTIX then generates an interest level chart for each product and customer. The system also enables a retailer to see the overall traffic distribution within the store. So that they can strategize the product placements more efficiently. Strategists, retailers, and manufacturers can benefit from the implementation of AI and deep learning system in a business abundantly. It can help them be in a position to track customer emotions to empower better customer satisfaction. What frustrates you the most on a call with a customer care executive? Is it the arrogance you hear their tones when they put you on hold for what feels like an eternity or the lack of relevant information conveyed after you’ve waited all that time? Studies suggest that the time delay during customer care calls is what ticks off a happy customer and gets them to opt for other brands. On an average, a customer spends about 7 minutes on the customer care queue before they get in touch with an executive, which is very exhausting. In addition, an executive at a customer care center has to attend to thousands of customers a day. Which significantly impacts the quality of their interactions with irate customers. The customer service precedes a company’s credibility, and bad customer service means fewer customers for the organization. AI conversational tools could revolutionize the customer service sector by providing customers with a pleasing and time-saving experience. Who wouldn’t like to interact with a customer service executive who answers quickly and gives you relevant information? AI conversational tools can be programmed to answer repetitive questions immediately. And then forwards the request to a higher authority in case a more complicated resolution is required. This enables customer service representatives to save time and assist with more important cases. AI conversational tools can do relatively basic and repetitive tasks with great speed and in a cost-effective manner. Thus it acts as an alternative for human representatives answering calls or emails. Most organizations rely on surveillance cameras and monitoring devices to enhance security. What if these surveillance cameras can do more than just recording? What if your CCTV camera had the brains to monitor the store and generate intelligent insights which can drive sales to your business? Identify confused customers and notify sales reps to engage them. Identity customers preferences and provide personalized offers, compliments etc. Identify shorter queues in shopping malls and notify customers about it. Identify customer needs such as bigger cart, trolleys and sending it right away to them. What is the most valuable asset of an organization? It is the interface between the organization and its customers. For a shopping mall, it is the active salespeople. For conferences and events, it is the active event organizer. However, in today’s fast-paced world, organizations face even more challenges when it comes to engaging with their customers. Hiring more salespeople is not always a feasible option. Because of the increased capital expenditure and time-consuming for the training processes. Installing AI-powered Digital Sales Concierges (DSCs) can help an organization engage with its customers. In addition, it assists them throughout the sales process. DSCs can be installed in the form of a kiosk or even a web app that customers can access on their smartphones. These machines are flexible and easy to integrate across an enterprise. Customers can interact with the DSCs and can get you the information they seek. The solution leverages on the Natural Language Processing (NLP) and Natural Language Understanding (NLU) technologies to facilitate life-like interactions with a user. Businesses and enterprises can improve customer experience using AI-based DSCs to actively engage with customers. Thereby it reduce the drop-off rate to a large extent. Wayfinding apps to guide users to get to a specific location in an organization. Digital assistant that can understand the user’s queries and provide relevant information instantly. Digital assistant that can show offers to the users based on the data analytics generated from shopper or user analytics tools. Using an AI-powered DSC, organizations can considerably reduce the number of human resources required to run the organization provide better user experience to its customers and thus increase the profit margins. 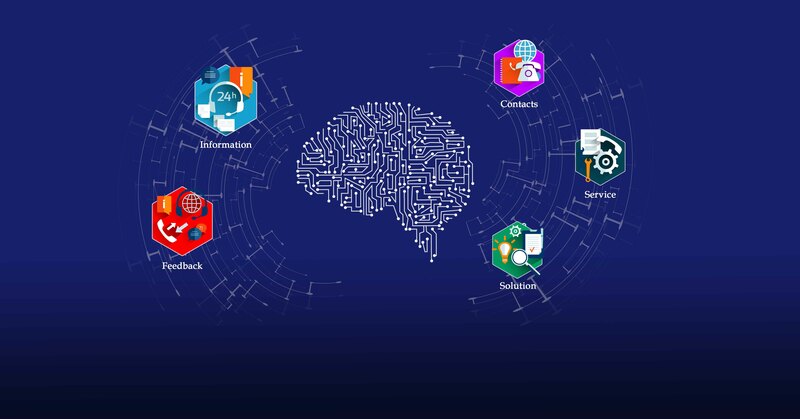 AI-powered solutions are all set to perk up every aspect of businesses not only in the retail sector but also online customer experience, loyalty, brand reputation, preventive assistance and generation of revenue streams.